Viridaxis is a specialist in development and supply of efficient and effective natural aphid control methods for the agricultural sector. Our R&D activities include applied field research to identify the best natural enemies of aphids and constant improvement of the mass production technologies needed to implement biological or integrated crop protection strategies throughout the market. We redefined our approach with the introduction of crop-specific products: In the past, growers had to identify the aphids before choosing the most appropriate beneficial as part of a nature-friendly crop protection strategy. Thanks to our XxxProtect range, this difficult part in natural aphid control has been taken off. For Viridaxis, constant investment in research and innovation is key – at our own facility, in association with our scientific and research institute partners or as part of applied field research. We would like to thank all our partner growers in the various countries for their excellent work. Without their feedback and faith we would never have been able to optimize our new crop-specific aphid control concept. We permanently monitor product performance in the field and look for improvement opportunities wherever possible. We always aim to develop the most convenient application of biological strategies to support our vision of more sustainable agriculture. Integration of biological pest control methods into combined strategies with selective agrochemical products (Integrated Pest Management) is important. 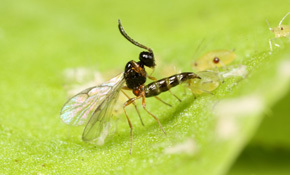 Viridaxis actively searches for new species for use in biological or integrated pest control. 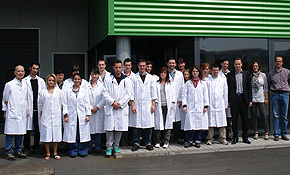 Once candidates have been identified, we scale up to mass production with a constant quality check. Permanent quality assurance in mass production and steady improvement of the production process are key. Our researchers design and implement new production systems in cross-functional approaches. Our best-in-class quality is important for immediate product performance, but is also a guarantee for product efficiency after shipping. Our research on diapause and the impact of storage conditions on insect metabolism help to drive the general advancement of biological pest control. 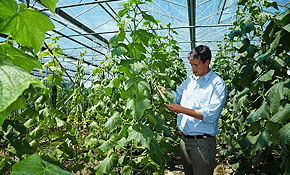 Today, the primary application for biological control schemes is protected cultivation. However, application on open field crops contributes significantly to general reduction in chemical pesticides. 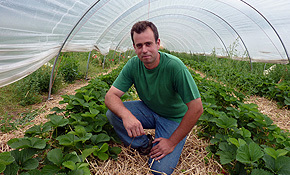 Viridaxis conducts research with the objective to apply these environmentally friendly strategies to open field crops.